Statements from the United States about plans to stop Nord Stream II are open, rude intervention and pressure to force Europe to buy not Russian gas, but more expensive American gas, said Alexey Chepa, deputy chairman of the State Duma Committee on International Affairs (Fair Russia). Assistant to the President of the United States for National Security John Bolton at the conference, which was held by the Wall Street Journal newspaper (recording the communication with Bolton published by C-Span), stated that the United States is considering a whole range of actions to stop the construction of the Nord Stream pipeline. 2 “. “This is an open, rude intervention. This is competition, an attempt to pressure artificially created. Moments put pressure on European countries to supply their more expensive gas there instead of Russian gas,” RIA Novosti told Chepa. The senator believes that there is very serious pressure to close the project. Germany, which has the largest EU economy, supports Nord Stream II. German Foreign Minister Heiko Maas after the incident in the Kerch Strait said that Nord Stream 2 is a commercial project and no country will win if German or other European companies refuse to participate in it. 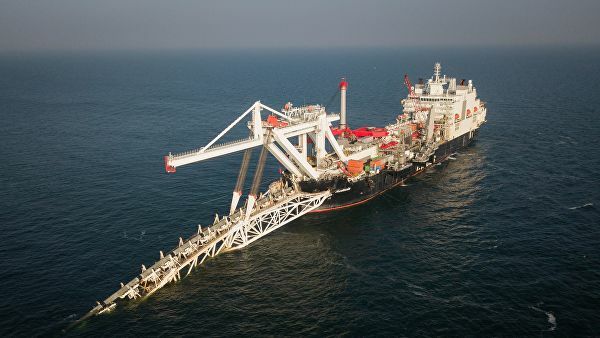 The Nord Stream-2 project involves the construction of two gas pipeline lines with a total capacity of 55 billion cubic meters of gas per year from the coast of Russia across the Baltic Sea to Germany. The project is actively opposed by Ukraine, which fears losing revenues from the transit of Russian gas, and a number of European countries, including Poland, Latvia and Lithuania, as well as the USA, which is promoting its liquefied natural gas to the EU. They call the project political and threatening the energy security of Europe. The Russian side has repeatedly stated that the Nord Stream 2 project is completely commercial and competitive, and indicated that it does not imply the termination of the transit of Russian gas through Ukraine to the EU.